I've been wondering to what extent our innate understanding of musical structure - in larger forms - is an essential part of our listening and appreciation of music. Scholars tell us this is so but I'm trying ascertain the 'truth' of this claim. For example, having been 'schooled' in the structure of sonata form many of us already know what to listen for and we respond when our 'expectations' have been either fulfilled or subverted. But what about the newer music which eschews those forms we recognize and understand? How is our appreciation and understanding shaped in the 'absence' of these old forms? Are these replaced with newer forms and, if so, what are they? Or is it just familiarity with the works rather than formal expectation? Thoughts? Examples? From my own experience, I was always glad to read something about the music I was hearing, usually the commentary that came with the record or in the program, and later Tovey's writings, but I wouldn't say they were essential to my forming a connection with the music, liking it and wanting to listen to it again. Only when I was older and hooked on classical music generally did I take a couple of college courses that taught me what to listen for structurally. And as you suggest, this doesn't really apply to much modern music, of which I may not have any particular formal expectations as I would in a symphony, but that doesn't bother me. What I do need is recognizable shapes in the music, melodies or themes or rhythms, and for me to recognize them, they need to be repeated in the music. Repetition is fundamental to most musical structures, of course, but they don't in themselves define the structure; the same theme can be used in a sonata form or fugue or what have you. I also want the harmony to make some kind of sense in conventional, diatonic terms; unrelieved atonal dissonance wears me out pretty soon. But I don't have to know any musical theory to get this kind of harmony, it's what most of us grow up with. Of course it can add to the appreciation of a piece of music to get what's going on in it structurally, and that's one reason why I read books about music such as Rosen's "The Classical Style" and studies in depth of a composer's music. Likewise, I read a good deal of literary criticism because I enjoy and appreciate literature, and a critic can show me things even in a familiar work that I haven't noticed on my own. I no longer have to do it for grades so I can do it just for fun. It no longer surprises me, but it used to, that so many people like or dislike a piece of music when, from what they say about it, they haven't really listened to it at all, not attentively enough to hear what's going on in it. Maybe that's part of music's appeal, that it can get to the inattentive and ignorant as well as the rest of us here in CMG. But this doesn't answer your question. More thinking at this late hour to come up with something better! Structure throughout the Baroque, Classical and Romantic periods we had form where sonatas would have 3 or 4 movements, concertos generally 3 movements, symphonies 4 movements, and most everybody followed that pathway. Picking up themes from a first movement that would be further developed in subsequent movements. Then Liszt comes along and writes his concertos as if being played in one movement though the sections were identified, but continued. I think, leading from the Classical period with Haydn and Mozart, Beethoven picked up where they left off, and so the patterns or structures continued in that vein. There were, of course, those composers from all periods who did not always abide by those "rules" of the period. Is any of this making any sense, or am I on the wrong track? John, I agree that we need to recognize shapes in the music in order to continue engaging with it and, of course, it's much harder to find that 'shape' in serial music - just as one example. Ergo, patterns and shapes are form - just contextualized in a specific piece which doesn't necessarily exhibit any formal traits are linked to the past. Thinking of ballet music - just as one example; there's a genre which doesn't have conventional 'form'. It is defined by the narrative and is usually composed before the choreography. We can appreciate the music stand-alone, but many of us have a mental image of its context and narrative. So, there's a clue to my own understanding: I regard music as essentially 'narrative' whether absolute, programmatic or anything else. Listening for A, interacting with B, moving onto C and back to (even fragments of) B or A provide me with a sense of structure that the work/piece is actually going somewhere and then on to somewhere else. Another way to think of it is 'questions and answers'. I have heard this term used in tennis matches..."he's asking a question with those shots and not getting an answer". For me, making sense of music is quite similar. Where do we go from here and how is that second (or more) idea related (if at all) to the first? In short, I think we have learned our skills of listening and deconstruction through our engagement with the baroque and classical periods. Having heard that music and become so familiar with its conventions I can easily laugh or be surprised when my expectations are suddenly subverted, as there is still music to be heard which we didn't know before. I seldom have that experience with music after, say, Liszt. In tonal music such as that by Rachmaninov, which is still quite conventional, I can still be surprised at times. But listening to this, for example: though not tonal as those quartets of Beethoven and others, it still has an internal logic and interplay in a conversational way between the instruments. That's the way I engage with these works; as dialogues between the instruments - even though these quartets are of a concentrated structure every bit as rigorous as Beethoven's. I find the atonal grittiness muddies the formal waters, so I engage with the interaction. And the 'atomizing' of certain thematic fragments and their iterations. Lance, you've made good points about Philip Glass; but I find that repetition (though I don't know a great many of his works) fatiguing as I'm listening for surprise and not finding any. I am unsure about his link to Schubert. Belle wrote: Thinking of ballet music - just as one example; there's a genre which doesn't have conventional 'form'. Actually, many ballets do make use of conventional forms, including mainstream ballets of the 20th century, though the forms are generally simpler than in much "absolute" music. Story ballets, like operas, also have passages governed by the dramatic "narrative"; typically these are finales of a scene, act, or work. Without thinking about it much, I'd say the typical form of a ballet "number" is either A-B-A, as in the minuet or scherzo of a symphony, or rondo, as in the finales of many concertos. Petipa demanded such forms of Tchaikovsky in his minutely specific instructions for each number. I'd put it the other way around. A form is a large-scale pattern or shape, most often if not always regular overall if irregular at lower levels of organization. It's the regularity that makes a form recognizable as such, and the irregularity that makes it interesting rather than banal. Small-scale patterns or shapes such as themes/melodies are the elements of forms but I wouldn't call them forms themselves, not if the word "form" is to be at all useful. My goodness! I'd have thought the first movement of Beethoven's 5th symphony would have come to mind before Glass's mindless reiterations. Belle wrote: I think we have learned our skills of listening and deconstruction through our engagement with the baroque and classical periods. That wasn't my experience. The family's record collection was weighted toward the 19th century, with very little Baroque music, and that shaped my taste and understanding, such as it was, of how music worked. The college courses I mentioned ranged from Bach to Stravinsky and Bartók, as did my work producing music programs for WHRB. Interesting comments, as usual. I would still say that smaller units constitute form since the building blocks of the larger formal elements have their DNA in these little musical ideas. It is their interaction which creates the bigger picture. I've learned that from studying the Beethoven sonatas (not for playing; I crashed and burned at the piano when I encountered these). When I think of ballets like "Rite of Spring", "Firebird", "Petrushka" or "Daphnis and Chloe" these are more or less through-composed and don't have the same kind of forms you mention which are probably more a feature of Tchaikovsky or the French ballet composers. I learned about binary form, baroque dance suites (many in the same key) and, of course, the operatic overture which led to sonata allegro form. The baroque period is certainly not just wonderful but instructive too. Belle wrote: I would still say that smaller units constitute form since the building blocks of the larger formal elements have their DNA in these little musical ideas. Building blocks, or biological cells, or whatever, obviously do have forms of their own, but appreciating them seems to me quite different from grasping and appreciating the larger forms they comprise, and frankly not very interesting. Others may differ, of course. wrote: When I think of ballets like "Rite of Spring", "Firebird", "Petrushka" or "Daphnis and Chloe" these are more or less through-composed and don't have the same kind of forms you mention which are probably more a feature of Tchaikovsky or the French ballet composers. Later, in his Neoclassical period, conventional forms become more common in his ballets and other music, and he even wrote ballet scores based on other composers' music which is entirely in such forms, "Pulcinella" and "Le Baiser de la Fée." Prokofiev's ballets also include "numbers" as well as through-composed sections, as indeed does Mozart's "Marriage of Figaro." Yet "Pulcinella" still somehow sounds like Stravinsky. Maybe this is too much about ballet, but you brought it up. In no way is this a rebuttal of what you're saying -- just an addition: If I don't like the surface of a piece, I don't bother at all to learn the depths of it. People can tell me all they want about how a contemporary piece was structured with the ebbs and flows of the stock market or whatever (a real example from my undergrad days), but it doesn't mean much to me in terms of my enjoyment. However, if the surface of a piece moves me, then yes, an understanding of its depths only adds to it. And that's one of the reasons why I enjoy returning to favorites (and, like you, reading criticism, etc.). Nice parallel in poetry -- I don't give a damn what Ginsberg and the other Beats are talking about in their poems because I [generally] can't stand the music/rhythm of their words. But give me hours and hours to pour over something by Stevens to decipher its meaning and I couldn't be happier. IcedNote wrote: If I don't like the surface of a piece, I don't bother at all to learn the depths of it. I'd add to that only that if a piece somehow interests me, whether I like it or not, I may stay with it a while - not to analyze it but to see if becoming more familiar with it makes a difference. I didn't "get" "Wozzeck" at first, but it interested me enough to see it in the opera house, and now it's core repertoire for me. Partly because its musical complexities not only invite analytical listening but repay it. This wonderful work contains what I call 'character' pieces reflecting the personality of its subject, Petrushka. But listening to the first minutes is enough to hear that there is development of a 'subject' musically, which then reduces into little fragments of theme. The piece is also charming and interesting to the listener because of its fabulous orchestration and pulse. Unpredictability is also part of its 'structure'. This is how I listen to this piece; a combination of all the things I mention. And I agree that the 'surface' of a work has to appeal before you delve further, but familiarity will mostly break down any barriers in this regard. Funny! I had the same experience with Berg's violin concerto. Now I listen to it frequently, and love it, but it turned me off at first. Imagine ending a twelve-tone piece on a C major chord! You know, I absolutely love it that I'm 'talking' to people who actually get all that!!! Lucky me. Agree about Berg's Violin Concerto and, of course, I adore the Piano Sonata. I was at the Konzerthaus in Vienna in 2011 when Yuja Wang sight-read the piece as part of her recital!!! We are wanting to return to Vienna early next year but the programming at the Musikverein doesn't look especially inspiring!! 2011 was a great year and the anniversary of the birth of Liszt. They had lots of huge posters all around the city of the composer, pictured from his early years (when very handsome! ), wearing sunglasses and marketed as "Mr. Cool". Liszt's music is always structurally intriguing. My brother is a very fine jazz player, but I don't usually "get" his music, and this thread is part of the reason why. I don't know what to listen for, I don't understand the structure, I don't know where the music is going. Sometimes it just seems a vehicle for various instrumentalists to get a chance to show off. Of course I know it is much deeper than that, but it often eludes me. Nearly 20 years ago I apologised and said there was so much classical music to listen to, new and familiar, that I wasn't going to make a project of jazz. Yet its emphasis on improvisation is a real link to Mozart and Beethoven. Sounds like a very talented family!!! Jazz is rather esoteric to me and I regard it as essentially a performers' medium requiring intensive listening, improvisation and great technique. My mother played 'stride' piano, by ear, but I inherited none of her talent. You made a great point about the improvisational aesthetic in Mozart and Beethoven! We met three very warm and charming rich Jewish women from Brighton and Toorak when we were in New Zealand last year. I mentioned your name and they all said they read and enjoyed your articles in "The Age". Mostly I can do without jazz, but there's some I've connected with. The Modern Jazz Quartet played soundtrack music for a movie called "No Sun in Venice," which I saw as a college freshman, and while I've completely forgotten the movie, the music has stayed with me, especially "One Never Knows" and "The Golden Striker." If you had to give a classical music name to this and many other jazz pieces I suppose it would be "rondo." But that didn't occur to me except in the context of this discussion, and I don't think it's illuminating. The music is what it is. My experience with Berg's violin concerto was like maestrob's. I didn't "get" it the first few times I heard it but I stayed with it anyway, probably because of the poignant back story and the Bach chorale. After hearing a sublime performance by Midori and the New Jersey Symphony conducted by Hugh Wolff (unfortunately she hasn't recorded it), it clicked. I got the score and the Cambridge UP book about the piece, made a serious study of it, and now it belongs to me and vice versa. You are almost never on the wrong track, Lance, but I'd like to point out that as far as I know, the practice of sometimes continuing from one movement to another without a break, but with movements nevertheless clearly defined was begun by Beethoven in the Fifth Piano Concerto, in which the third movement continues without a break from the second. 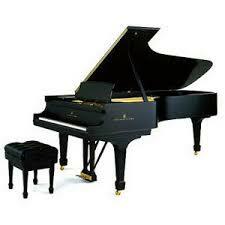 The Liszt PC 2 does have six movements continuously played, but the PC 1 had been more conventional. And PC 2 is virtually contemporaneous with Schumann's Fourth Symphony, introduced only a year after the Liszt PC 2. It seems to me that the real transformative composer in the shift from classicism to romanticism was not Liszt, but Hector Berlioz. In America, he doesn't get the credit he deserves because our musical heritage is much more closely tied to the Germanic musical tradition than to the French, but I think we owe it to ourselves to get over it. Indeed, Berlioz conducted the world premiere of Liszt's First Piano Concerto, so they are known to have been closely associated. Liszt may well have gotten some of his ideas, including the idea of doing some works in continuous movements without breaks, from Berlioz. I suppose I am the one here who should be posting an essay, since I have two degrees in music theory and Belle's post sounds like a recapitulation of everything anyone tried to teach me. Nevertheless, I remain a "naive" listener, uninstructed in my listening by what I know about musical structure or lack thereof. Somehow or other I have arrived at and remain at the same level of taste as others here and in the world of serious connoisseurship in general. Last edited by jbuck919 on Sat Mar 31, 2018 8:04 am, edited 1 time in total. Thank you for this warm piece of generosity, Belle. That is lovely to hear. I still have a monthly column in The Age, but I left Fairfax formally at the end of 2013. It is so sad for me that they have never replaced me. I was the last mainstream newspaper religion writer in Australia, and used to joke that I was much the best in the country ... and also much the worst. Thank goodness for the ABC's Andrew West, the last public media expert. Continuously linked movements go back at least to Beethoven and the Pastorale Symphony. So does music with an extra-musical program. It's hard to say when the Romantic Period in music began. With Beethoven and Brahms at either end of the century we have Classical Era forms with a Romantic sensibility - and E.T.A. Hoffmann, that eminently Romantic writer, said Mozart was a Romantic, at least partly on the strength of "Don Giovanni." Is it worthwhile to fret about when musical Romanticism began, or with which composer(s)? Maybe, but I don't believe there's an answer. I think form is still an important part of the listening experience, even with today's music, where you're not necessarily going to hear first theme-second theme-development-recap, but you will hopefully find some sort of patterns to latch on to and follow for the course of the composition. Every piece creates its own form. This was true even with the familiar 18th-19th century examples, and it's even more so as you get into the 20th and 21st centuries. I respond the most strongly to highly-structured compositions, compositions based on well-defined, audible patterns to which everything in the composition can be related. But the patterns have to be audible. If I can't hear what keeps the composition together (and I'm pretty generous in giving the composer the benefit of the doubt) then I lose interest very quickly. And yes, I think there should be something in the surface, the way the music sounds at first hearing, to draw you in. There's so much music out there, you have to do triage of a sort. But there also has to be something more, more relationships, more connections between themes, between episodes in the music, that reveal themselves with further hearings. I think of it like the cold remedy they used to advertise on TV, I think it was called Contac, which they said contained "hundreds of tiny time capsules", some of which went to work immediately, some of which went to work later, and some of which went to work much later for long lasting relief. That's what I like in the music I listen to. Now my degrees disagree. (There must be some form of poetic figure in that. ) First, I think we can dismiss Hoffmann's remark, as he was obviously referring to an opera whose theme is a peculiar variety of romance. By that criterion, many operas earlier than Mozart are also romantic with a lower-case "r."
Undoubtedly the word "Romantic" referring to a period from immediately after Beethoven and in large part made necessary by him to the death of Brahms was borrowed from other arts or a general cultural conceit. Nevertheless, it is distinct, and precisely for structural reasons. The fact that Brahms chose to maintain the multi-movement symphonic form as his delivery vehicle as it were, whereas Wagner did not, is not exactly irrelevant but somewhat beside the point. Those composers were famously conscious of being different from the Classical composers in ways other than what shows on the surface. After Beethoven (some would argue starting with him in his late works), structural assumptions based on a necessity of contrapuntal/harmonic relationships which once provided the font from which naturally flowed great musical expression ran dry if a composer wished to accomplish anything at all. Schubert was probably not conscious of this new order, but his music is governed as much by it as is that of Brahms, who was all too conscious of it. You've read Rosen extensively. In his writings on Romantic music he covers much of this, but the foremost explicator is the early 20th-century German theorist Heinrich Schenker, who is very difficult. (There is a reason I did not go on to get my Ph.D.) Tovey was more accessible, but I have the sense that he would not disagree. Many others have written about this, including Schoenberg in his famous essay "Brahms the Progressive." I will conclude only by recapitulating what I said before, which is that my own listening does not depend on my hearing the astonishing middleground and ultimately background structure of music from Bach and Haydn through to Beethoven. I sense none of that (though I know listeners who do and are not lying when they say so) when I appreciate a "sonata-form" movement by Brahms. "The Twelfth is probably the most cryptic of them all, and a big discovery for me. Its a hugely powerful piece, especially if you understand what's behind it. He makes use of the traditional 'People of Russia' from Mussorgsky. It has a three note them representing the people, while Lenin is heard in a two note theme (I subscribe to the view that he denotes a brutal leader or anti-human force in two note themes, and humanity in three note ones). You can hear how Lenin moves the people toward catastrophe in the first movement. He then follows Lenin to Rasliv in Finland, where he refelcts on his stragegy. We hear a theme from Sibelius's Lemminkainen in Tuonela whch deals with the hero's death, where he is cut into pieces and thrown in the river--later his mother pulls out the pieces and only by her tears is he restored again. The message is clear. Its one of the most clever calculations he made: firstly, to quote Sibelius--the necessary people would understand the message--and to put in the revolutionary songs as a cover. You can sense how songs start with a clear intention but are altered and warped. "In the final part, 'The Dawn of Humanity,' he was raising a question for himself; if the 1905 revolution had been successful [the subject, let us recall, of the 11th symphony], would a parliamentary regime have been established?" I mentioned E.T.A. Hoffmann's view of Romanticism and Mozart because Hoffmann was right in the middle of literary Romanticism, and he was also a skilled composer and conductor and a music critic, so there's reason to suppose that he knew what he was talking about. The Romantic movement in literature occurred earlier than most people realize. (Here I can cite my own degree as an English major. ) Coleridge and Wordsworth publishedd their joint collection, "Lyrical Ballads," a landmark of English Romanticism, in 1798. Coleridge actually mentions a "deep Romantic chasm" in "Kubla Khan" (1797). In Germany the movement began even earlier in Sturm und Drang works such as Goethe's "Sorrows of Young Werther" (1774); similarly the early plays of Schiller. In "The Romantic Generation," Rosen says "This is a reasonable claim when we remember that one of the ideals of Romantic art was the creation of a coherent world which does not depend on reality or simply reflect it, but runs parallel to it." Of course we understand things differently today, assigning Haydn and Mozart to an earlier historical period based on their style and how it differs from what came before and after. And we certainly don't think Romantically, as the Romantics themselves did. But our standard definitions may be something of an anachronism, such as speaking of "sonata form" in the music of Haydn and Mozart when they never heard of such a thing and their music does not fit the standard definition well. Whatever, I think it's more interesting to try to understand the Romantic point of view than merely to dismiss it. Cultural movements pertaining to art, music and literature seldom run contiguously. There is always a 'lag' period between one or the other and I agree with John on this point. I'm wondering whether the label 'romanticism' actually influenced the way we respond to music through its formal structures. Berlioz has been mentioned as the first real "romantic" and I agree with that; certainly in terms of non-theatre music. Be that as it may, Berlioz has never appealed to me and I've often wondered if that was because I've never found the 'structure' in his works to the degree that I was used to from the early 19th century repertoire, or whether he got my back up by regarding himself as the natural successor to Beethoven (which he certainly wasn't). I have read that many times and have wondered how he could have believed that about himself. Perhaps it was a bad hair day and Harriet wasn't there to control his hubris! Cultural movements pertaining to art, music and literature seldom run contiguously. There is always a 'lag' period between one or the other and I agree with John on this point.